The elected individuals will play a key role in the organization’s major 2019 endeavors. 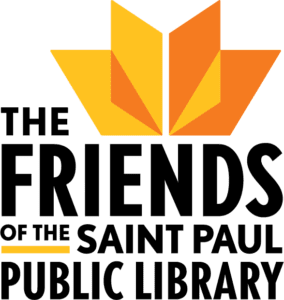 SAINT PAUL, MN, January 23, 2019 —The Friends of the Saint Paul Public Library has elected five new trustees to its board of directors, effective January 1, 2019. The new members bring a wide range of expertise and experience to the organization, from government affairs to finance. “We’re thrilled to welcome these individuals, each of whom brings deep community knowledge and passion for philanthropy,” says board chair Jean O’Connell. The new members are Roberta Downing, Candace Gislason, Duchess Harris, Jim Pearson, and Scott Zastoupil. Roberta Downing, PhD, is the Assistant Commissioner for External Relations with the Minnesota Department of Human Services. Downing is a social psychologist with a career that spans public policy, academic research, and working with low-income communities. Candace Gislason is a retired actuary currently volunteering for Allina hospice. She previously served on the boards of the Junior League of Saint Paul and the Summit Hill Association. Duchess Harris, JD, PhD, is professor of American Studies at Macalester College and author of Black Feminist Politics from Kennedy to Trump, as well as curator of the Duchess Harris Collection for Abdo Publishing. Jim Pearson is Manager of State Government Affairs at Xcel Energy, and former Deputy Commissioner at the Minnesota Department of Commerce. Scott Zastoupil is Controller at the Saint Paul and Minnesota Foundations and a former finance and accounting senior manager with RBC Global Asset Management. “We look forward to the ideas and expertise of this new class of board members as we begin to execute our newly-created strategic plan and continue to strengthen our organization,” says Friends president Beth Burns. Outgoing members of the board include Joseph Bagnoli, John Huss, Shar Knutson, and Charles Williams. Members are elected to a three-year term, which is renewable for up to three terms. The five new members complete a board roster that includes leaders from throughout Saint Paul and the greater metro area.